Alibaba Group's global managing director K Guru Gowrappan has joined Paytm's board as an additional director. This marks the third top-level appointment in the digital wallet firm during the last one week. On October 20, Paytm announced that Amit Singhal, the former head of Google search, will join Paytm's board of directors, while on October 24, Goldman Sachs Asia-Pacific chairman Mark Schwartz joined as a member to its board. 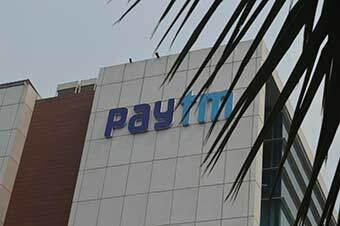 The addition of new board members at Paytm replace Dropbox's Ruchi Sanghvi, InMobi CEO Naveen Tewari, and SAIF Partners' Vivek Mathur, Livemint reported. Gowrappan, who focuses on Alibaba's products and strategy for international markets, will guide business, product and technology teams at Paytm, the company said in a statement. Gowrappan's appointment—which further strengthens Paytm's ties with its largest investor Alibaba—comes at a time when the Chinese e-commerce major Alibaba is preparing for its direct entry into the Indian market. Alibaba is likely to pick a majority stake in the e-commerce business of One97 Communications Pvt Ltd. In August, Paytm separated its e-commerce and payments business. It created two separate entities christened Paytm E-Commerce Pvt. Ltd and Paytm Payments Bank Ltd under which its e-commerce and banking services will operate, respectively. Alibaba's stake in One97 Communications will be transferred to the e-commerce business. Alibaba, along with its payments arm Ant Financial, owns around 41% of One 97. "Vijay Shekhar will hold 51% of stake in the payments business because payments bank licence was issued in his name, and 49% of the stake will be held by One97. Alibaba's stake in One97 Communications will be transferred to Paytm e-commerce," a person close to the development told Techcircle in August. The Vijay Shekhar-led company—which earns revenue through the mobile wallet and e-commerce business—posted a net loss of Rs 1,548 crore in the financial year ended March 2016 on Rs 830 crore in total revenues. However, the company's payments business reported loss of Rs 482 crore on Rs 158 crore in revenues for the period. While for the year ended March 2015, Paytm reported net loss of Rs 372 crore on Rs 323 crore in total revenues.